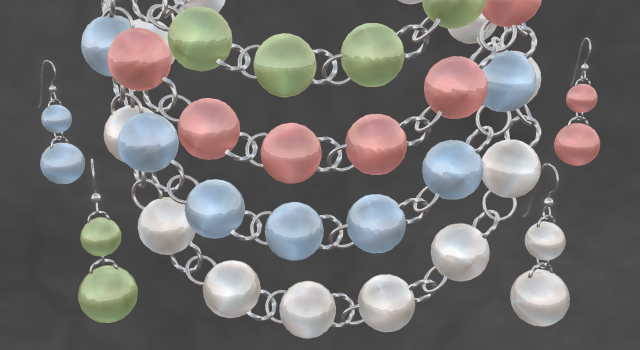 Introducing BOHO PEARLS, SETS 1 & 2: Set 1 is a lovely set of chunky pearls with silver links, in just-in-time-for-spring colors of white, rose, ice blue, and spring green. Set 2 contains the classic colors--White, Chocolate and Golden with gold links, and Black with silver links. 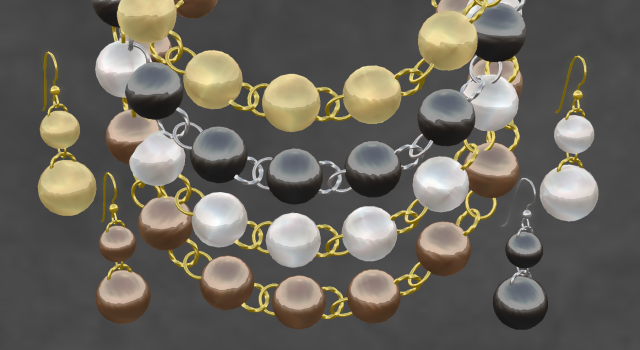 Both sets are currently posted at the introductory price of L$100 per set. I went down and picked these up! They are very versatile! I've already worn the ice blue and rose set.